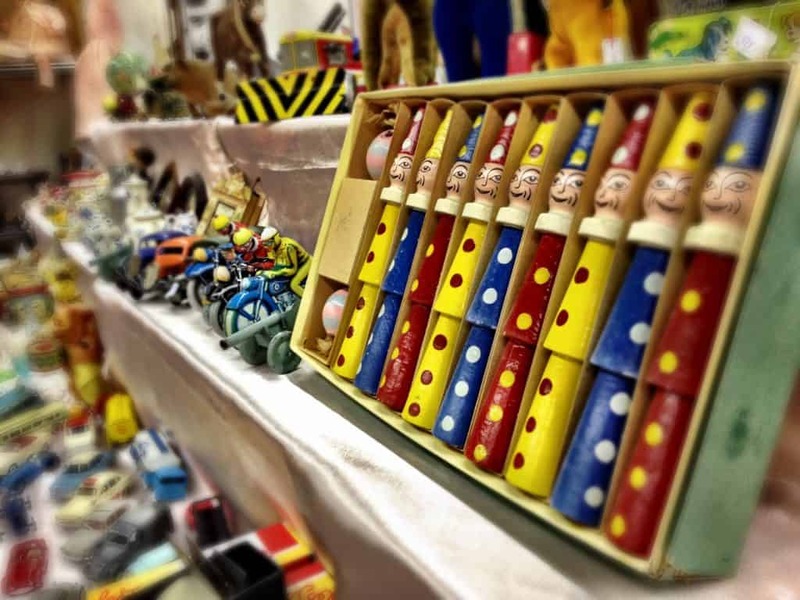 French flea markets have oodles of treasures just waiting to be discovered and can end up being one of the highlights of your trip. No run-of-the-mill souvenirs from the airport here! So whether you live in France and have never been to a flea market or are just here for a short period of time, read on for my French flea market tips to shop like a pro. 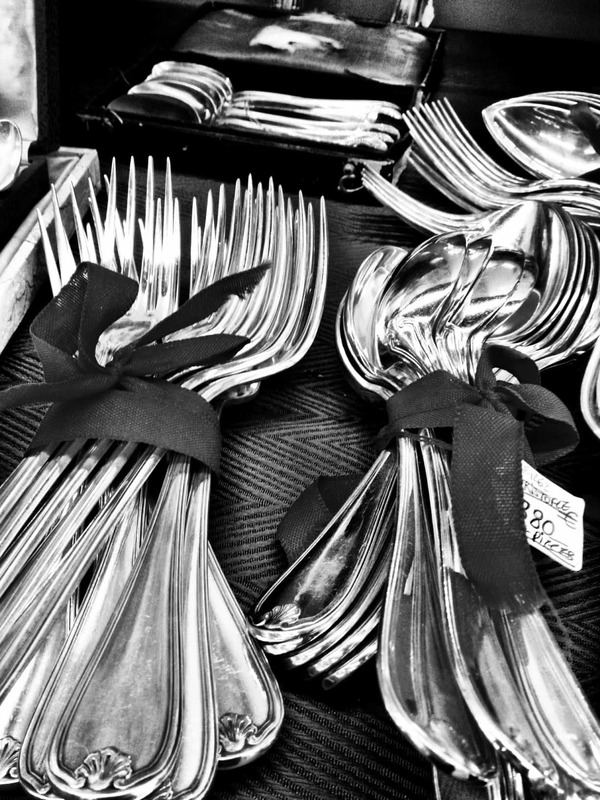 Here are my top French flea market tips! I was first exposed to all things antique when I was a kid and accompanied my grandmother and great aunt to all kinds of flea markets and estate sales in New Jersey. Their love of antique jewelry and housewares was only rivaled by their love of ice cream so we’d often head to Friendly’s after a day of antique hunting for a coffee milkshake or sundae (my fave part). And as I grew up, I dabbled here and there in vintage clothes in middle school and high school but that was really it. It wasn’t until I moved to France that my love of vintage was reignited. I discovered French siphon bottles and coffee grinders and ceramics and dish towels. The list goes on. I even opened up my own Etsy shop selling my wares! A great resource is brocabrac.fr. It has upcoming flea market listings all over France. vide grenier — literally emptying of the attic so you will find yard sale types of things here, not necessarily antiques or vintage. But still fun to have a look! Also, be aware that if you go to a flea market (usually with an entry fee of 5+ euros each) at a conference center or something like that (a special event), these tend to be more expensive with curated finds. Everything is the best of the best and you won’t find many deals. My favorites are the local brocantes and that’s where you can find reasonably priced linens, knickknacks, ceramics, books, etc. Excellent deals can also be found online on leboncoin.fr. 1. Arrive early (but not too early). If a market opens at 7 a.m., arrive around 8 a.m. That way, all the vendors have arrived and set up their goods but the crowds haven’t flooded in yet. If you arrive at noon, you risk having to deal with hordes of people all looking to get a deal — many of which were snapped up by the savvy shoppers who arrived at 8 a.m.
2. Don’t be afraid to bargain. Bargain within reason. The vendors expect this to a degree. You can do a walk-by and then google or check out ebay.fr to find going rates for your favorite items if you have no idea if the sticker price is a good deal. Then loop around and offer 10-20% lower than the sticker price, depending on your research. This works better if you’re interested in a couple of items and if you don’t look like a tourist — so hide that camera! If the seller doesn’t want to bargain or you aren’t interested, don’t feel obligated to buy something if you think the price is too high. Just start to walk away if you’re interested in the item but don’t need it, and sometimes you’ll get lucky after all when the vendor says wait a minute, on second thought, I can offer a slight discount. But if you really do want the item, don’t walk away because vendors won’t always cave. 4. Take out that calculator. For more expensive items, whip out your phone’s calculator and start crunching numbers (fake calculations will do fine here) and talk to your companion about how the going price won’t work. The vendor will assume you’re a dealer of some sort and will often offer you a better price. 5. Know shipping costs before you buy. If you fall in love with a statue or other heavy item that you want to ship home (and can’t be tucked away in your suitcase), research shipping fees before you buy. Shipping costs are high, especially once you hit the 2kg mark (check ’em at laposte.fr), and should factor in to your overall price. Maybe it wasn’t such a steal after all! 6. Have cash on you. Many vendors don’t accept credit cards, so having cash on you including 1 and 2 euro coins comes in handy when you’re negotiating a price. I like to have about 2 euros short of lower-priced items (that are a little overpriced) already in my pocket. I’ll say something like, “OK 12 euros? Let me see how much I have left.” And then laboriously count my coins until I get to about 10 euros. While smiling, say, “That’s all I have. Is 10 euros OK?” Works like a charm. 😉 But if you have a stack of 20 euro bills, this won’t work. This should be obvious but always start your interaction with a bonjour and when you leave say au revoir (every time!) and tack on a bonne journée for good measure. Manners in France are important so use them at the flea market. Also, do your best to communicate in French at least at first. 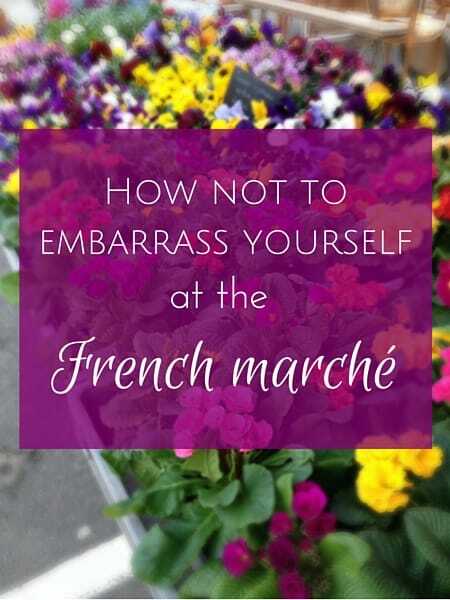 It goes a long way even if you can’t get past, “Parlez-vous anglais?” Do what you can and you might just surprise yourself! How have your experiences been with flea markets in France? 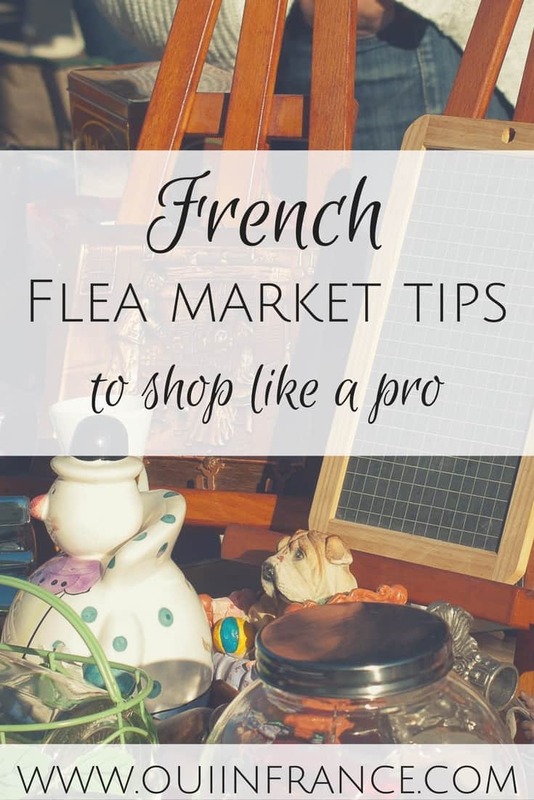 Do you have any French flea market tips to add? My French vintage Etsy shop is open for business! 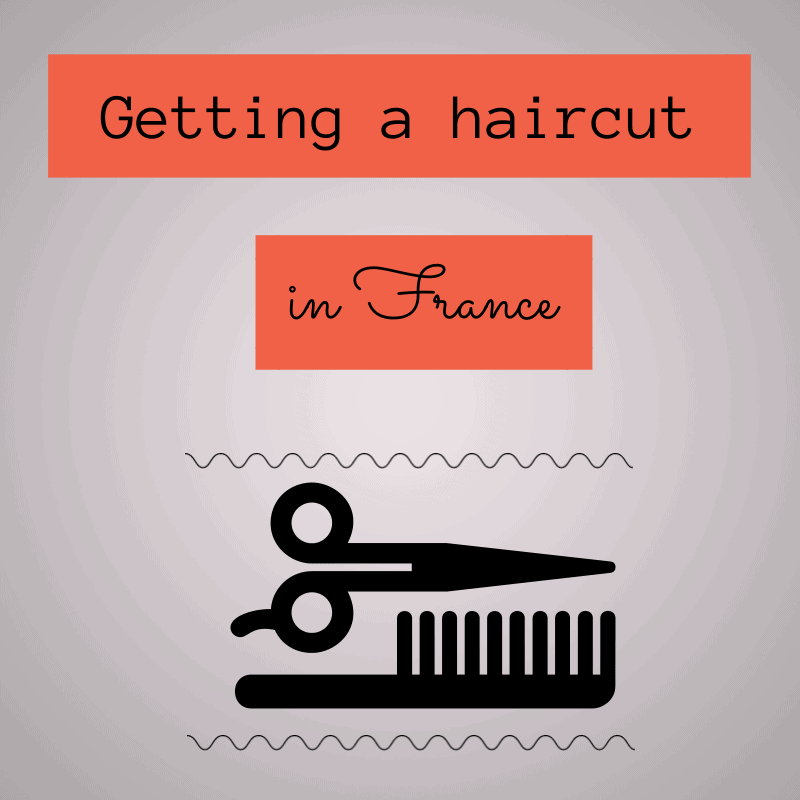 How to be a pro at getting a haircut in France 10 Tips for not embarrassing yourself at the French marché A Friday trip to the farmers’ market Ever shop at Noz? Great hints! Now I have to find a Flea Market here. Glad you found the tips useful. And I’m sure there are many flea markets in your area. Check the site I linked too, pretty comprehensive! I’ll miss the yearly brocante in my little village. There was always something interesting to find. Yes! Especially if you dig around in the bins a little. You never know what might turn up! Very helpful. Any useful negotiating French phrases? That’s a little too much for me.